Beloved Supporter (5$/ month) As a Beloved supporter you have access to the Weekly Radio Shows, Podcasts, New Moon Call recordings, inspiring articles and FB Live Videos. Thank you!! Angelic Patron ($50 / month) As an angelic patron, you receive all of the gifts from the previous tiers, plus: Teaching videos, guided meditations and a monthly group coaching call with Michael. As well as a Private Facebook global interactive community coaching group. Thank you !!!! We hope you will join our Global Community and continue to participate in our programs and offerings. ​Michael Stone is the host and producer of the Shift Network’s The Shamanism Global Summit and KVMR’s Conversations, which interviews leading edge thinkers, authors and activists in the areas of Environmental Restoration, Social Justice, and Spiritual fulfillment. Michael is the founder of Mastery of Management International (MMI) a global Organizational Development Consulting firm whose purpose is to “bring heart and meaning into the world of work”. Michael also leads classes, teleseminars and workshops on Embodied Shamanism, Moving Meditation and Spiritual Fulfillment. 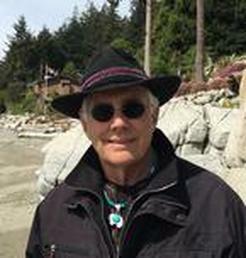 Michael is the author of Living a Shamanic Way of Life. He teaches to thousands online and is on the faculty of the Shift Network. "Human conversation is the most ancient and easiest way to cultivate the conditions for change – personal change, community and organizational change, planetary change."